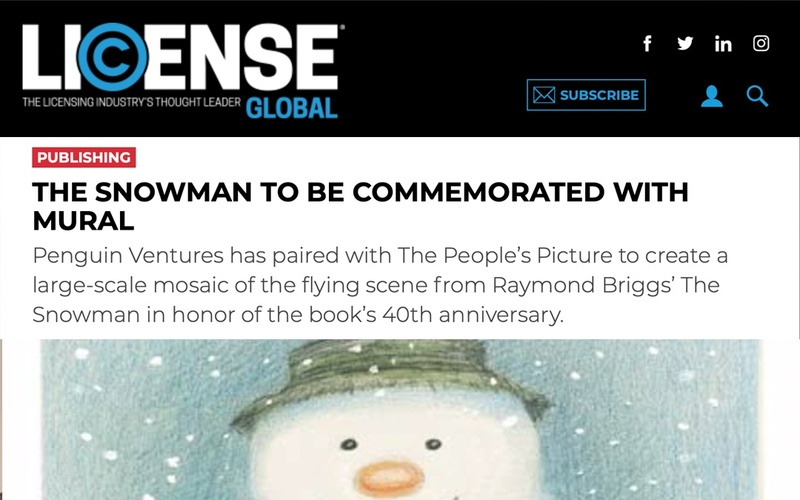 Penguin Ventures has paired with The People’s Picture to create a large-scale mosaic of the flying scene from Raymond Briggs’ The Snowman in honor of the book’s 40th anniversary. The image will be composed of thousands of individual photos, which fans are invited to submit at www.ThePeoplesPicture.Com/MySnowman. The My Snowman project will be exhibited at Brighton Museum Dec. 4-6 alongside an existing exhibit on Briggs’ work. A digital version of the mosaic will also become available online that will allow users to zoom in on each photograph, including their own. The deadline for photo submissions is Nov. 23. The final artwork will be gifted to Briggs’ charity of choice, Chestnut Tree House.